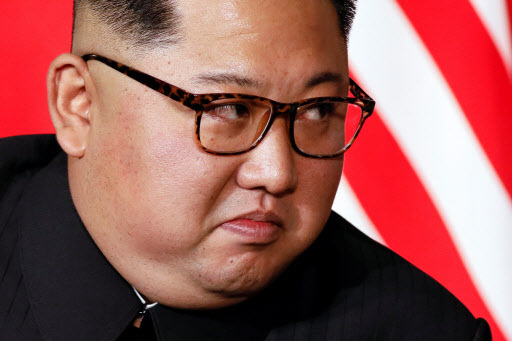 The momentum for a second US-North Korea summit early next year and North Korean leader Kim Jong-un’s visit to Seoul has been kept alive through a flurry of diplomacy on the sidelines of the G-20 summit. North Korea has demanded the US take “corresponding measures” -- which seem to include an end-of-war declaration and sanctions relief -- to build trust and improve relations before it further denuclearizes. In April, Kim signaled the end of Byungjin policy -- the parallel pursuit of nuclear weapons and economic development -- and adopted a new policy line aimed at focusing on developing the economy, which experts say was aimed at laying the groundwork for negotiating away its nuclear weapons. In the long term, sanctions -- which ban imports of machinery and electricity, and limit imports of oil -- will put the brakes on the North’s booming construction projects, such as its landmark Wonsan-Kalma coastal tourism project along the country’s east coast, according to the report. But such a “reckless” way of keeping the economy afloat would not likely last long, according to Ko Myong-hyun, a research fellow at the Asan Institute for Policy Studies.